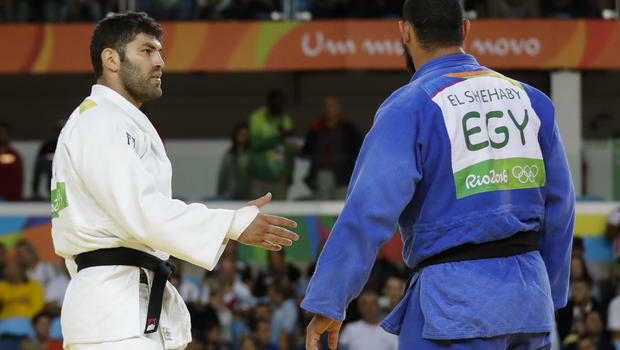 Egyptian judoka Islam El Shehaby has been sent home from the Olympics after he refused to shake the hand of Israeli opponent Or Sasson after their bout. The 34-year-old was "strongly reprimanded" by the International Olympic Committee (IOC) after his first-round loss on Friday. The IOC say his conduct was "against the spirit of friendship embodied in the Olympic values". The Egyptian Olympic Committee condemned El Shehaby and sent him home. El Shehaby was roundly booed by the crowd and was called back to the stage for his failure to bow to his opponent as it contravenes judo rules.